Posted By PA Breast Cancer Coalition on April 14th, 2016 at 12:17 pm | 0 comments. You can help find a cure for breast cancer! This tax season is quickly coming to an end, but there’s still time. Donate your tax refund to the PA Breast Cancer Coalition’s Refunds for Research program. Simply go to Line 32 of your state income tax form and choose code “A” to donate. Thanks to taxpayer contributions, foundations and generous individuals, this year the PBCC awarded four $50,000 grants to help researchers in their mission to find the cause of and cure for breast cancer. Watch our video highlighting our grant winners below. The PBCC board, staff, and volunteers are deeply saddened by the passing of our friend, Cindy Spinello. Cindy was diagnosed with breast cancer in July 2012, just four months after a mammogram showed normal results. Due to her dense breast tissue, her mammogram was unable to find the stage 4 cancer that had already spread to her spine, stomach, ovaries and lymph nodes. Cindy told us that her goals were to be thankful for each day, to enjoy every possible moment with her family and friends, and to prevent others and their families from the emotional and physical pain experienced with a later stage breast cancer diagnosis. She took the anger she felt and used it to energize her advocacy efforts. She stood up and she spoke out. 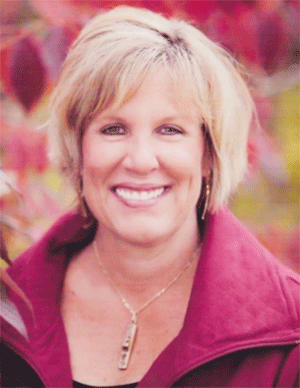 Cindy became the PBCC’s strongest advocate for change through the Breast Density Notification Act. With her help and support, we were able to have that legislation passed requiring mammography centers to notify women of their breast density. Countless women across Pennsylvania will benefit from her determination to ensure that they will not face the same struggle she did. We will never forget Cindy’s strength, courage and hope. She was a good friend, a fierce fighter, and a true advocate. Obesity can be a major cause of breast cancer in postmenopausal women, but omega-3 fatty acids have the potential to lower that risk. A study done by Andrea Manni, professor and division chief of endocrinology, diabetes and metabolism, Penn State College of Medicine, showed protection comes from the anti-inflammatory effects from the fatty acid. Breast density is a breast cancer risk. Manni’s team, in addition to researchers from Emory University and Colorado State University examined the influence of prescription omega-3 supplements on breast density in women of various weights. It is believed that women who are of a higher breast density are more likely to develop breast cancer. 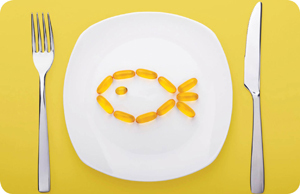 Researchers found that increasing the level of omega-3 acids in blood was connected with reduced breast density in women bordering obesity with a body mass index above 29. With this research, a personalized approach to breast cancer prevention can be established. Learn more about this study. When I was diagnosed with breast cancer in 1990, the PBCC had not yet been created. 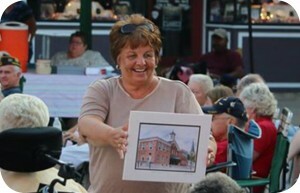 I learned about the PBCC last June when the traveling photo exhibit visited Perry County. I was really overwhelmed to see how many survivors were represented, and the program at the exhibit opening was very touching. On that August morning in 1990, I was reading and reviewing my Sunday School lesson when I felt a lump in my breast. The next day I called my gynecologist and he made an appointment right away. A needle biopsy proved it to be cancer. I was in the middle of the Perry County Fair and my kids showed animals, so I said I can’t do anything now. The doctor was going on vacation the week after the fair so we scheduled surgery for the following week. I had a lumpectomy at first and then a mastectomy and six months of chemotherapy. My husband Glenn and I have a beef, cattle, and hog farm. We have two married daughters and four grandchildren. I did a lot of the farm work until our daughters got married and then our sons-in-law took over my jobs there. I taught school for 32 ½ years and I worked for Senator Jake Corman for seven years. Now I serve as Chairman of the Perry County Commissioners. I fill all my spare time with community things, volunteer efforts, serving on the board of Wings of Kindness, and anything that makes Perry County a better place to live and work. Often someone will come by my office to ask advice for a friend or relative who’s been diagnosed with breast cancer. I tell them to remember that it’s not a death sentence. I believe that having a positive attitude is a major part of the survival process. And I believe a religious conviction is extremely important too. Help The Fight is a non-profit organization in Lancaster, PA providing supportive funding for those diagnosed with breast cancer. This gap funding helps women and their families with household bills, medical treatment costs, daycare, insurance payments and much more. Financial assistance is also available for early screening for breast cancer. Posted By PA Breast Cancer Coalition on April 14th, 2016 at 12:15 pm | 0 comments. One man and one Corvette are making one huge difference. 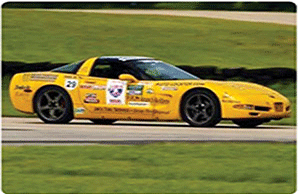 Mount Joy business owner Jim Roberts, of Jim Roberts West Main Auto, is looking to rally the local community in his “One Lap of America” adventure. During the first week of May, this national endurance race challenges the preparation and staying power of both man and machine while raising money for charity. Stickers will decorate the roof and body of the Corvette and can be purchased for a minimum donation of $10, benefiting the PA Breast Cancer Coalition (PBCC). The donor name will be listed, or stickers can be purchased in honor or memory of a loved one. To make a donation, visit pbcc.me/donate and fill in “One Lap of America” when prompted for the Title of Event. Are you a PA breast cancer researcher looking for funding? Posted By PA Breast Cancer Coalition on April 4th, 2016 at 9:56 am | 0 comments. Applications are now being accepted for the PA Breast Cancer Coalition’s Breast Cancer Research Grants Initiative. 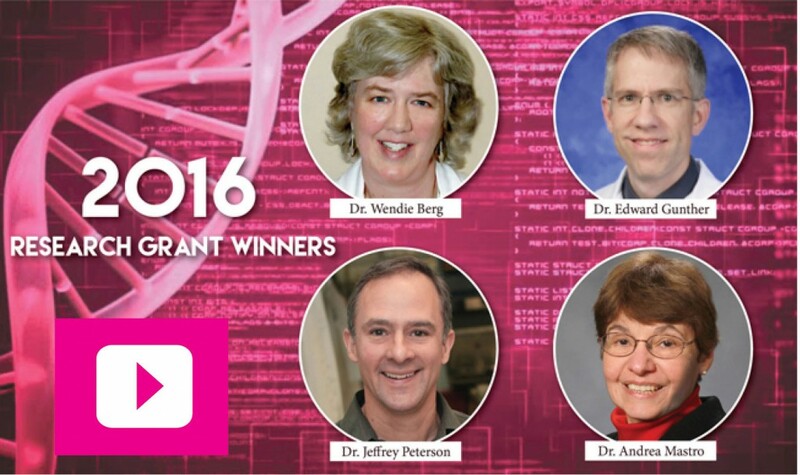 Each year, the PBCC awards outstanding Pennsylvania researchers who are working to find a cure for breast cancer.